Our clip-on flip-up magnifying readers are made to fit most reading glasses. Magnifying readers are great if you do occasional close-up work. Their main use is with periodic close-up examination, reading, and writing. Easy attachment and removal, superior protection and durability, and customized prescriptions mean convenience, easy pocket storage, and safe, healthy eyes. 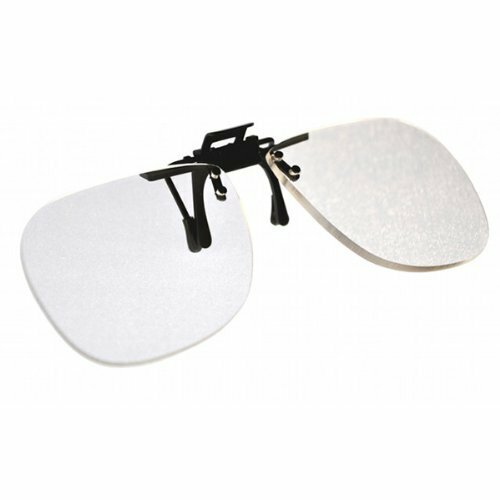 Features: * Magnification: +1.75 Diopter * Minimum Working Distance: 14.2 Inches * Maximum Working Distance: 22.3 Inches * Style: Clip-On and Flip-Up * Material: Acrylic Dimensions: * Glasses: 5 1/4" W * Lens: 2 3/8" W x 2" H Made in USA. Turns any pair of regular glasses into a hands free magnifier.